You may have noticed that I have not been blogging much lately. I don’t have an excuse, but I do have an explanation: I’ve been busy with translation-related work lately. Another reason why I haven’t been in the mood for blogging lately is because I’ve been getting back into fanfiction. I haven’t written any fanfiction for about a year now, but apparently I’ve been doing it on-and-off for ten years (h-o-l-y c-o-w). So I guess you could call me a fanfic veteran now. Speaking from the perspective of someone who is fairly experienced in both activities, It’s been really interesting doing translation and fanfiction side by side. Actually, the two things have a lot more in common than one might casually assume. They’re both considered derivative work, and they are both incredibly difficult to make look easy. But the commonality that interests me most is the idea of “fidelity”. Literary translators and fanfic writers are often expected to capture the “soul” of the original work. Even when a fanfiction belongs to a completely different genre than the original work, fanfic writers are often praised for writing something “in-character”, and they are just as frequently lambasted for getting things “out-of-character”. The same expectations apply to translators, although they probably have it worse because translations generally function as substitutes for the original. As a result, people can get anxious about translations. For those who can’t speak the original language, they can never be entirely be sure that a translation is accurate. Even though a translation can never be the same as the original, even minor changes to the text can be construed as a “betrayal” or a “bastardisation” of the original work. As you might imagine, I have some mixed thoughts about this state of affairs. This is a collaboration post with ZeroReq011 from Therefore It is. In Zero’s words, this is “somewhat of a general review, somewhat of a thematic analysis, and somewhat just two anime dorks having fun with words, roleplay, and other nerd geek weaboo stuff.” Hope you enjoy! ZeroReq011: Don’t worry. She respawns. ZeroReq011: Because chuunibyou. Chuuni. I’m practicing my chuuni impression for this piece. You like it? Come now, you know I’m not actually evil. 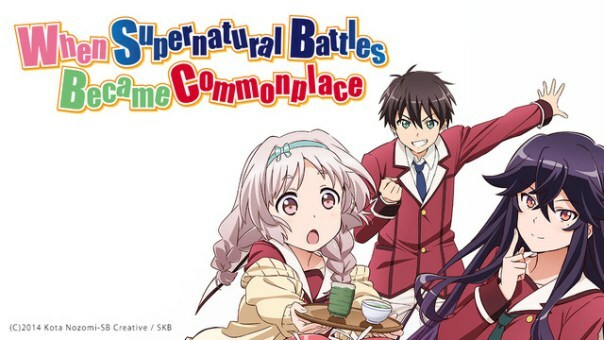 When Supernatural Battles Became Commonplace. 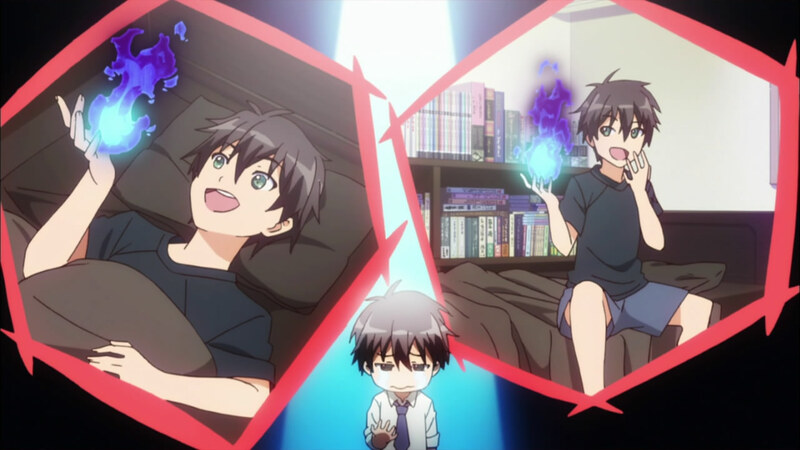 Inou-Battle wa Nichijou-kei no Naka de.Inou-Battle for short. The one guy and four girls (okay, five girls, but her ship’s sunk pretty early on) are inexplicably granted superpowers. Naturally, they continue with their commonplace school lives. I don’t know about you guys, but I normally find chuuni characters kind of obnoxious. You know the ones. They just go on and on with their delusions in a way that the anime generally tries to make seem quirky but ends up making you wonder if they need psychological help. 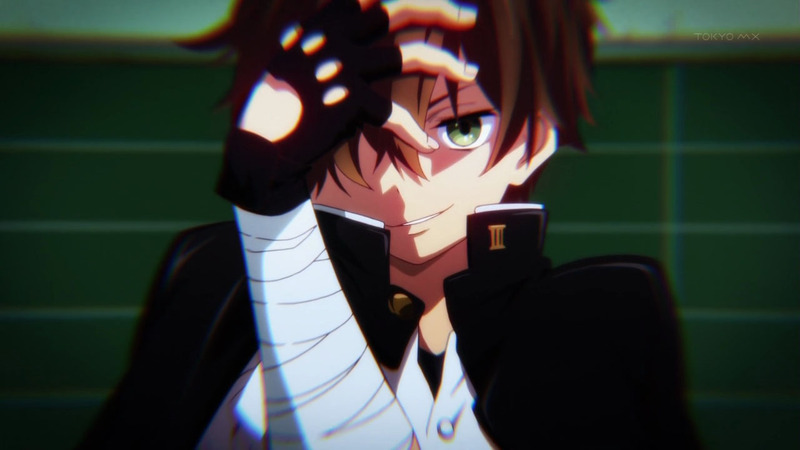 My discomfort with the chuunibyou archetype stems not from any particular dislike of juvenile fantasies (I mean, hell, aren’t we all chuunis on the inside?) 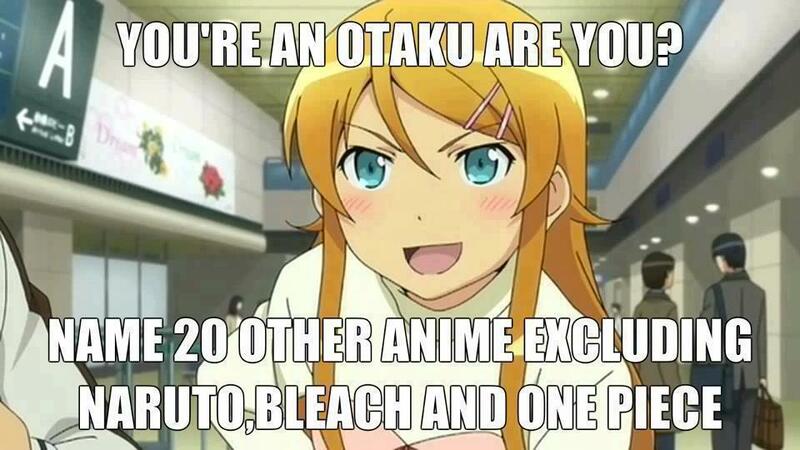 but from anime’s general obsession with glorifying some pretty gross antisocial behaviour. 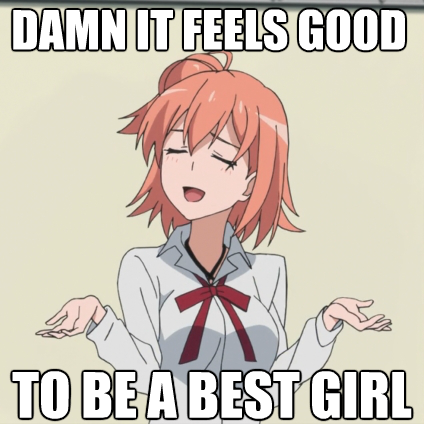 To date, I still haven’t seen an anime that has dealt with chuunibyou in a way that has fully satisfied me. Chuunibyou Demo Koi ga Shitai! managed to successfully walk the tightrope between empathising with chuunibyou and romanticising it, but it lost all of its balance in its disastrous second season. 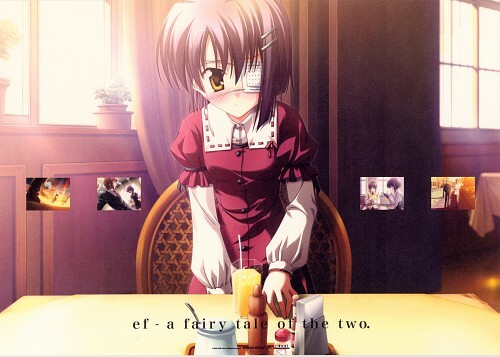 Aura by Romeo Tanaka attempted to portray chuunibyou in a more serious, dramatic light, but its themes were unambitious: at its core it was simply a “nerds being bullied” story. So admittedly, my hurdle for a “good chuuni character” is not very high. Inou Battle is far from perfect, but it did manage to pleasantly surprise me in quite a few ways. It’s just a little bit more sensitive, a little bit more intelligent, a little bit more polished than the norm. I also feel like it manages to approach chuunibyou from a number of different angles and that it takes full advantage of its seemingly generic setup. 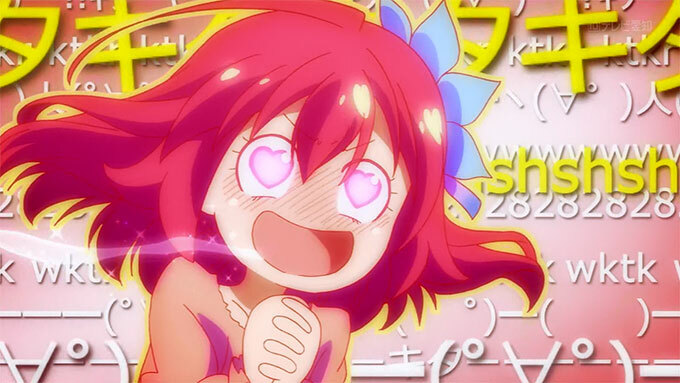 There are many reasons why Steph is the best character in No Game No Life, but the biggest and main reason is that I am a Steph myself. Why Study Shakespeare Through Anime? For a lot of people, studying Shakespeare is something you only do in high school English classes. At first glance, readers of Shakespeare and watchers of anime don’t appear to have very much in common. I’m no Shakespeare expert, but I do love anime, and it’s always fascinating for me to see an anime interpretation of western literature. It’s precisely because Shakespeare and anime seem to belong to two different worlds that you can learn a lot about how they work when they come together. 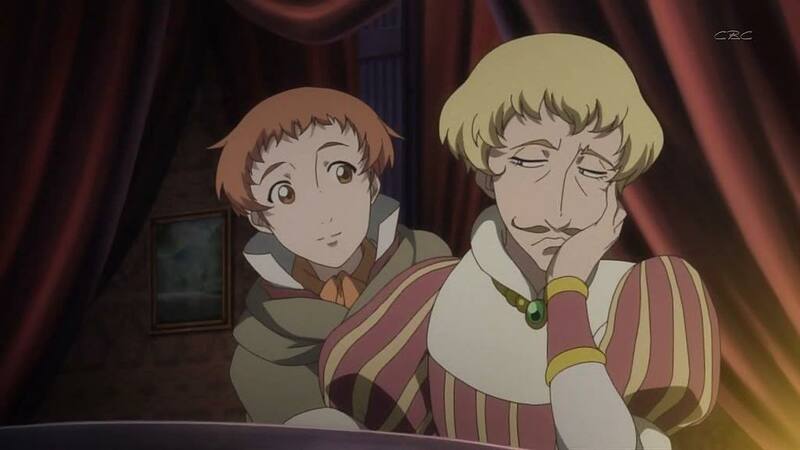 So in this post, I’d like to bring some attention to how Shakespeare is reinterpreted in anime form. I’ll start off by discussing how Shakespeare plays are adapted in general, what we can learn from modern adaptations and how Shakespeare is adapted in Japan in particular. Then I’ll focus on three modern anime titles which I think offer new and interesting ways to look at Shakespeare: Romeo X Juliet (2007), Zetsuen no Tempest (2012) and Nisekoi (2014). As everyone knows, anyone can write a light novel and get famous. But since satire is a cheap form of humour, that is not actually the route I’m going to take with this post. Say you (hypothetically) wanted to write a light novel in English and get it published, how would you go about doing it?